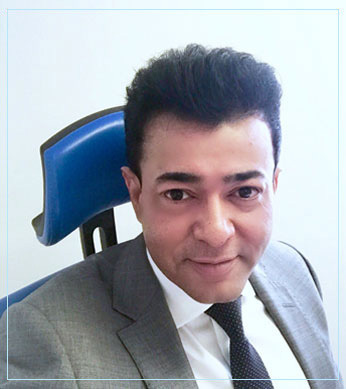 Artificial cervical disc replacement is contraindicated in the presence of rheumatoid arthritis, pregnancy, morbid obesity, significant osteoporosis or an active malignancy and allergies to biomaterials or metals. The procedure is performed under general anaesthesia and is guided with the help of X-ray imaging (fluoroscopy). You will lie face up on the operating table. Your surgeon approaches the cervical spine from the front or side of your neck through a small incision. The important structures in your neck are gently moved to the side to access the cervical spine. The damaged disc along with any loose disc fragments or bone spurs are identified and removed. 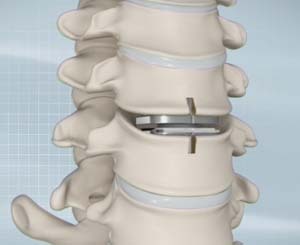 The artificial disc device is sized and placed in the prepared disc space, restoring its normal height and relieving any pressure over the spinal nerves. The incisions are closed and covered with a dressing. Following surgery, your neck may be immobilised in a collar. You will need to keep the incision area clean and dry. Refrain from hot tubs, swimming, heavy lifting, driving and smoking. You can initiate physical therapy as directed by your surgeon. Take medications as recommended by your doctor. Arrange for a follow-up appointment with your doctor. You may be able to resume light activities in a week or two, and complete normal activities in six weeks.